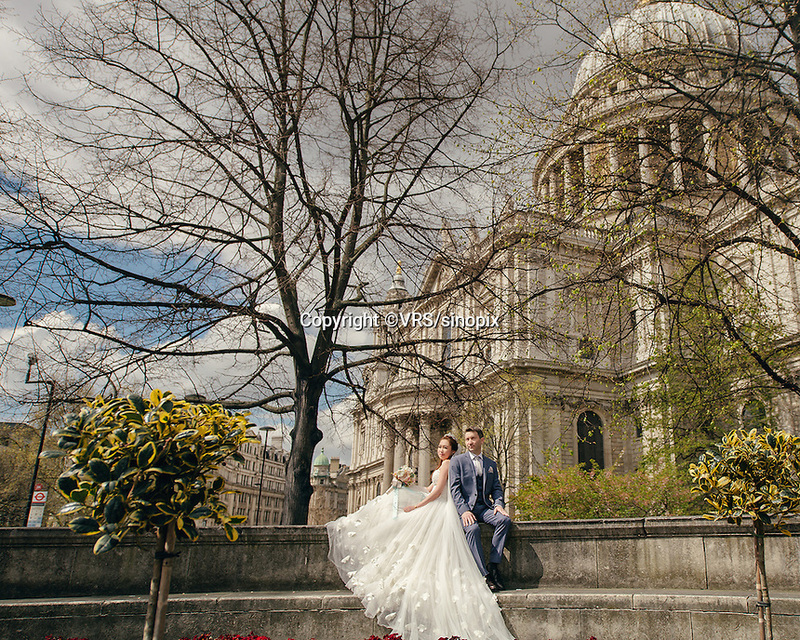 A Chinese couple pose for their wedding photos in London close to the Houses of Parliament and Big Ben, UK. . An increasing number of Chinese couple are having their wedding photos taken in the English country-side, classic towns and monuments to show in China.